At the first glance, the entertainment industry seems incredibly enchanting. Especially the film and modeling industry never fail to surprise us with their glamorous attire and looks. We all are fond of this dream industry and wanted to look like our favorite actor/ actress. Right? Well, yes this is certainly the dream of many girls and boys to look like their favorite celeb. But, the thing is that we only see the beautiful side of the industry. 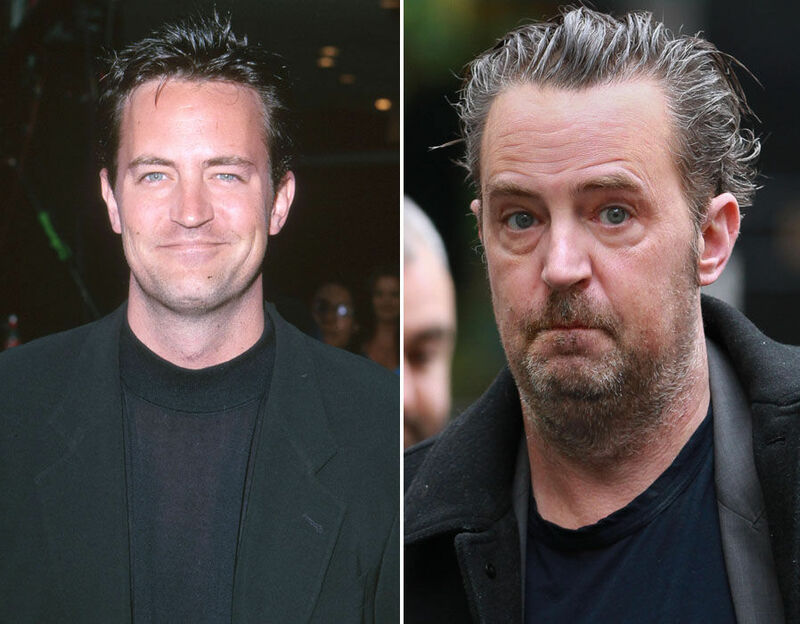 There are some celebrities who've looked worse with age, some of them are naturally and some went through treatment or extreme makeovers but in both the cases the result was worst. These celebrities aging badly, scroll down explore some of those celebrities here. An American television personality, and a businesswoman, Paris Hilton, needs no introduction. She is truly a self-made person and holds fame and wealth by contributing to TV industry and brand endorsements. This Californian socialite was pretty famous for her cute looks. But, now at the age of 37, Miss Hilton is looking pretty strange and bizarre. Yes, it's really shocking and it is not yet disclosed that whether she went through face surgery or something like that but, she is looking quite dull and unusual these days. 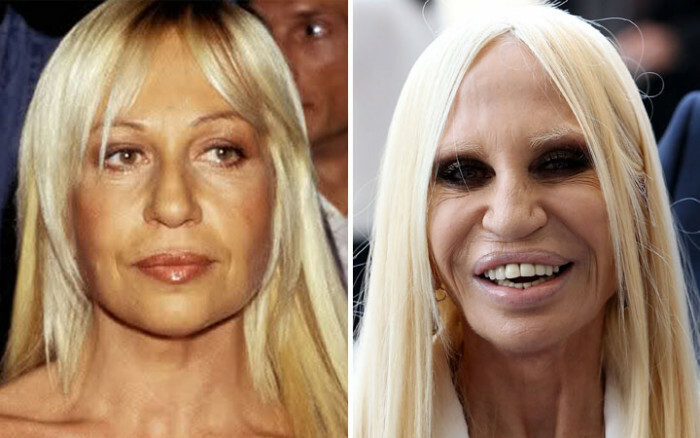 We bet, this picture of Donatella Versace will shock you like anything. Although, the queen of fashion Donatella Versace was one of the most prominent faces in the fashion industry. But, seems like things are changing their path and her looks too. No wonder the Italian designer gained so much fame and wealth for her astonishing contribution to the industry. But, as far as her look concern these days we can just state one line here “The older she gets, the worse she looks”. Madonna is herself a brand. She is very famous for transforming the image of lyrical content in mainstream popular music. Her presence on the stage is pretty enough to make the show hit and her music videos and live performance is just commendable. Despite several controversy and issues, she has been praised for her good work and charming personality. 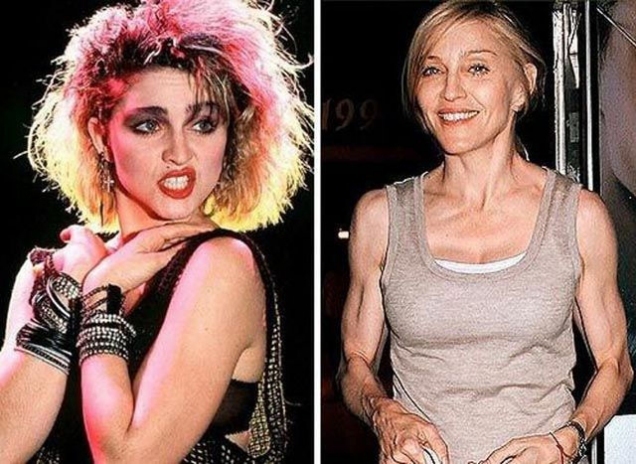 Like every other artist, Madonna was also concern about her beauty and always try to maintain her fitness with tiring workouts and nutrition regimes. But, we guess, she forgot to take lesson on muscle maintenance. Look at this picture and muscle, it is looking horrible and weird too. However, she is trying to fill those gaunt lines with some treatment, but it seems pretty unnatural. Sadly, a well-known American actress and television personality is all set to hold the position in this list. Her role on a TV show and modeling took her forward but, we just can’t deny the fact that it was her pretty looks that made her extremely popular in the industry. She is now good 54 and still working hard to catching the audience's’ attention. But, it's quite sad to say that her face does not look that much real and natural now, we can’t say what happened with her face but there is no denying that her body looks too older for her age. 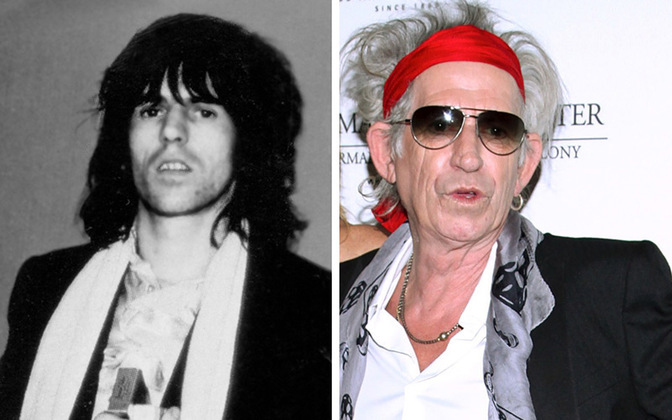 Sorrowfully, Keith Richards is one of those celebrities who aged horribly. He is a great English musician and songwriter, highly admired as a guitarist. He was very good in grabbing the attention by his creative and artistic skills and charming personality, we can’t even imagine her female fanbase at that time. But, seems like the famous musician is no longer can grab the attention of his female fans because of his drastic changed look. Yes, we admit that his age is now 74 but he is looking pretty weird. Matthew Perry, a famous American actor, highly admired for his role as Chandler Bing on the long-running NBC television sitcom Friends. His humor and witty attitude and charming personality had earned a solid fanbase. Now he is 48 years old and looking like things have turned. Maybe his attitude and humorous behavior are still the same but not sure about the look. He is looking like an old and unhealthy man. 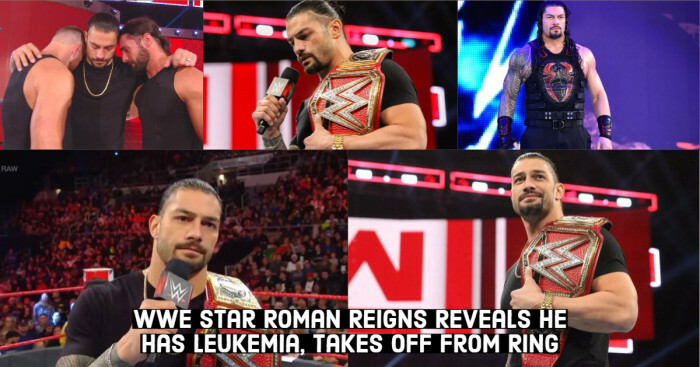 He is facing some trouble and it might be one reason for his changed look. Courteney Bass Cox again a famous American actress, producer, and director, pretty famous for her style statement and TV show. In 2004 she acted on some movies and got appreciated. But, when it comes to her looks, things are not that good. In fact, she has a drastic change in her face, that’s the reason this actress is here on the weird-faced list. Despite keeping the beauty, we can’t even conclude what she did with her face. Her fans don’t admire this look but it is hard to take control on now. The beautiful American actress and occasional model Mischa Barton is another celebrity holding a position on this list. There was a time when many girls wanted to look like her but surely not now. Her face has changed completely as she's grown older. Those pretty eyes, shiny skin, and million dollar smile are barely noticeable now. In fact, her entire face looks different. She is only 32 now and looks like she getting older and older day by day. 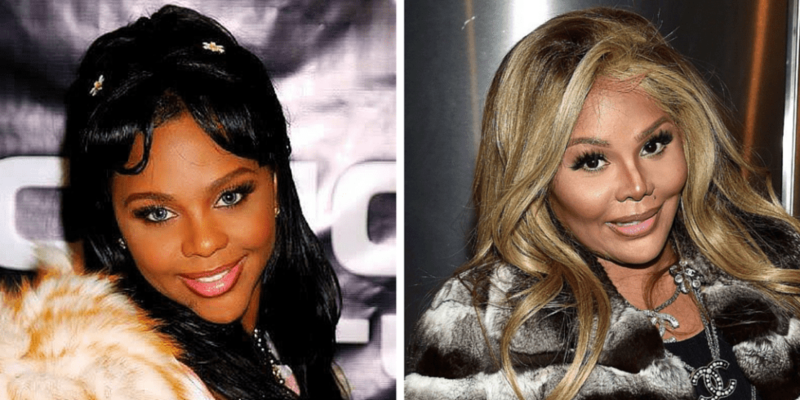 Shockingly, a famous female rapper Lil’ Kim is another name. Her original name is Kimberly Denise Jones. She is a famous rapper, songwriter, model, and actress. She earned a lot of fame and wealth by her talent and gorgeous looks. But, she is not that gorgeous now as she was before. In fact, her face has changed completely, even its hard to identify her. You can see the comparison pic and can explore this different-looking face. It was her gorgeous look and potential only that modeling agencies spotted her prior to the movie industry. It’s really good to hear that she was one of the self-made model and actress with a solid fanbase. Like all the celebrities she is also a fitness and beauty lover. But it’s quite shocking and depressing to see her freaky face. 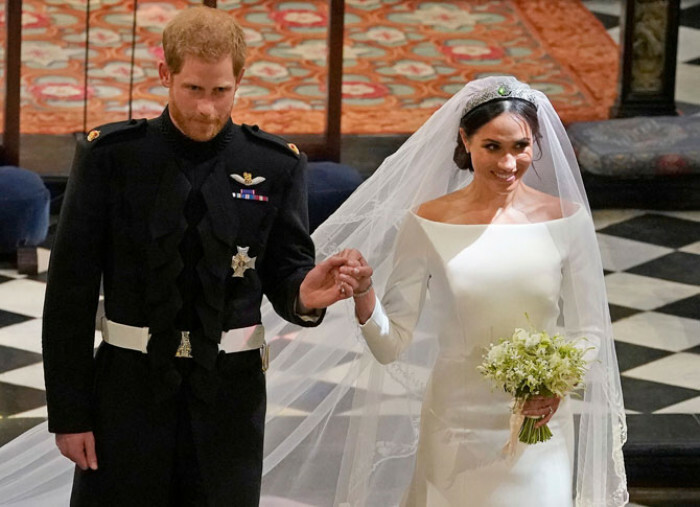 We barely determine what behind that tan look and sparkling makeup but we can’t deny that it is not looking pretty at all. 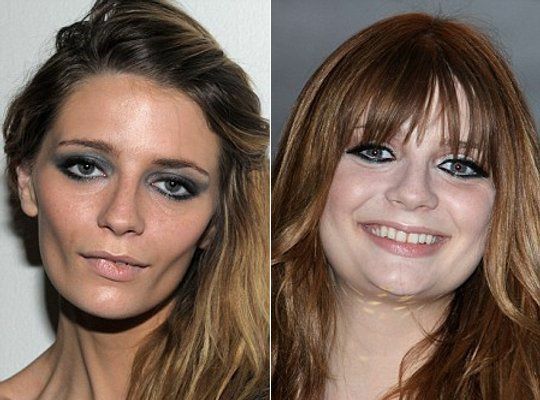 Look at the picture, the picture is itself defining the drastic transformation of this celebrity. Pamela Denise Anderson is a famous Canadian actress and model. It’s no secret that besides her acting and modeling skills she was mainly admired by her looks. We understand that she is now 50 years old and she can’t look like she was before. But, the change in her look is too weird like something wrong happened with her face. In fact, she is looking older than her age. Can’t say whether it is an artificial treatment or the natural outcome. That’s no secret that celebrity can go to any extend for keeping that glam and sparkling touch to their personality. And the drastic transformation of these celebrities are clearly reflecting the same thing.